India’s interior minister will head to the troubled state of Jammu and Kashmir in the country’s north today. 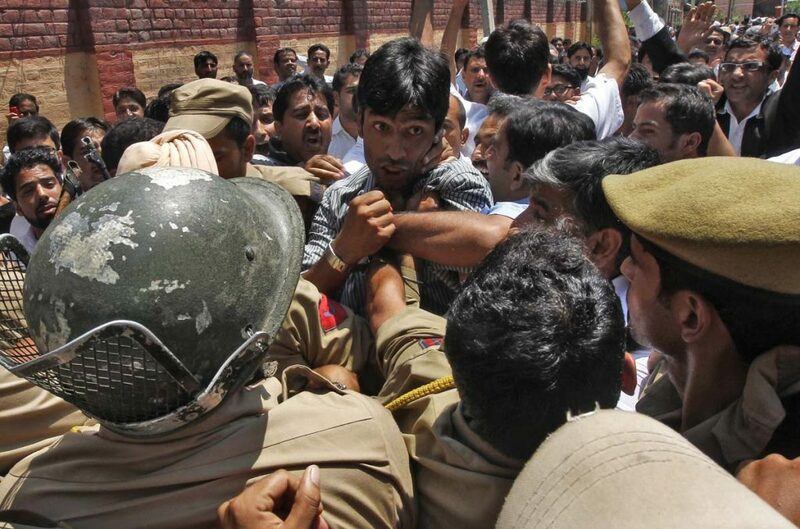 With the aim of pacifying the Kashmir Valley, Rajnath Singh will meet with civil society and political leaders. Ever since India became independent in 1947, Jammu and Kashmir—the country’s only state with a majority Muslim population—has been stifled by unrest. The lingering conflict with Pakistan over control of the Kashmir Valley is a key driver of this, as Islamabad is fuelling secessionist tendencies by arming and training militant anti-India groups. The most recent round of protests against Indian rule started in July last year, after a popular commander of an Islamic militia was killed by security forces. In the ensuing protests, more than 100 people were killed and thousands injured. While President Narendra Modi has called for calm, saying that the conflict ‘cannot be solved by abuse or bullets but by embracing every Kashmiri’, a settlement seems elusive. Talks with Pakistan have virtually collapsed after the 2008 Mumbai bombings, and despite Mr Modi’s words, New Delhi does not seem to be willing to compromise, as it refuses to hold an independence referendum on the region’s future.